Our single-girder Suspension Crane can be directly mounted on the existing roof structure that does not provide corbels for support. 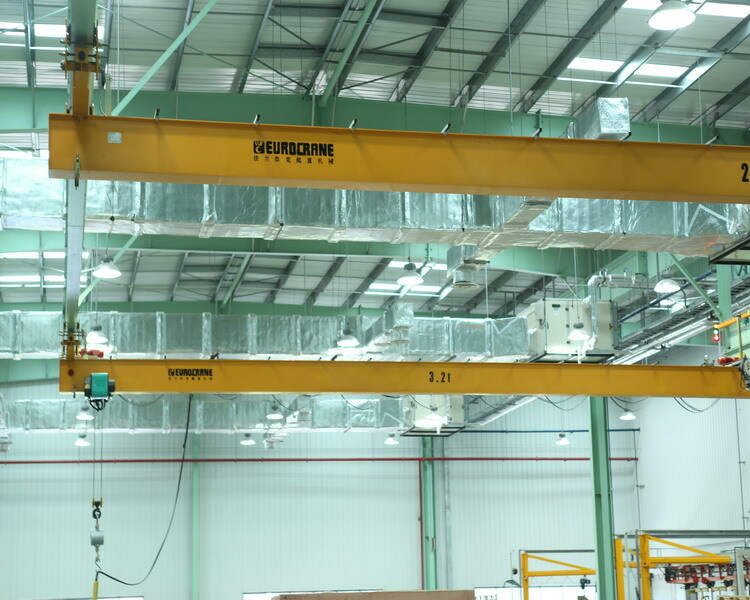 This installation manner saves space and helps users cut down on cost that they would have otherwise spent in building corbels to mount the Crane, so that large operating space remains open. This series of crane trolley has longer reach. The load can be lifted to a point that is very close to the side wall. Girder overhangs extend the trolley travel path belong the actual runway span. 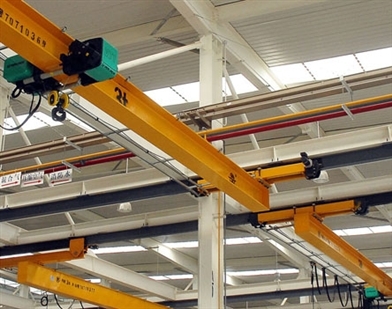 The crane plays a key role in material handling process. Crane problems and subsequent repair cause costly downtime, and in extreme cases result in complete production stoppage. Eurocrane Company has always placed" consistent product quality" at the core of each of its business. With all the advantages listed in the following, we are sure to become your preferred choice in the logistic industry. As a pioneer in the manufacture of European suspension crane, we have the first-row view of the valued expertise and advanced manufacturing techniques used in crane manufacturing industry. Rome wasn`t built in a day however, and the process of innovation at Eurocrane has been long. Each product has been rigorously tested prior to being launched onto the market. Hence customers can purchase with confidence. The aim of our product is to help customers improve productivity, lower equipment maintenance cost, extend equipment use life, maximize return on the investment, and create more value for customers. In its compact body, the suspension crane houses many desirable attributes such as even load distribution, light weight, and minimum stress on the rail. It is designed to decrease construction cost and create ease of maintenance. Compared with other domestic cranes, our crane allows for 10 percent to 15 percent decrease in its dimension. In this way, customer comprehensive investment is optimized and rewarded with high rate of return. The compact design of our suspension crane leaves more space for industrial operation. All its components are sturdy and long-lasting, requiring limited maintenance. Reduction in weight and wheel stress leads to decreased energy consumption. It also lowers the level of requirements on raw materials during its manufacturing process. 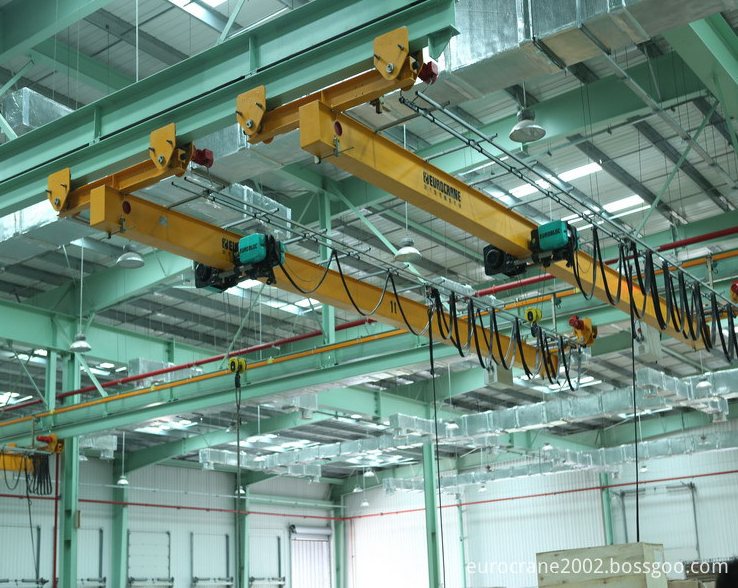 With leading manufacturing techniques, state- of-art manufacturing facilities, integrated production line and strict control and assurance system, we are sure to design and produce premium-quality suspension crane with exceptional performance. The concept of [easy-to-maintenance" is also incorporated into our design to ensure the final product processes competitive edges over others of its contemporaries while allowing easy repair and operation. Our suspension crane can be supplied with various configurations to cover a wide range of lifting capacities, ranging from 8t to over 500t. Other options such as the turn over hoist, anti-sway device, automatic positioning device, winch servicing and monitoring device, or remote diagnostic tool are available as well. We also provide personalized, professional solutions to customers with our experience and advanced techniques. Looking for ideal Motor-driven Single Beam Suspending Crane Manufacturer & supplier ? We have a wide selection at great prices to help you get creative. All the Good-looking Suspension Crane are quality guaranteed. 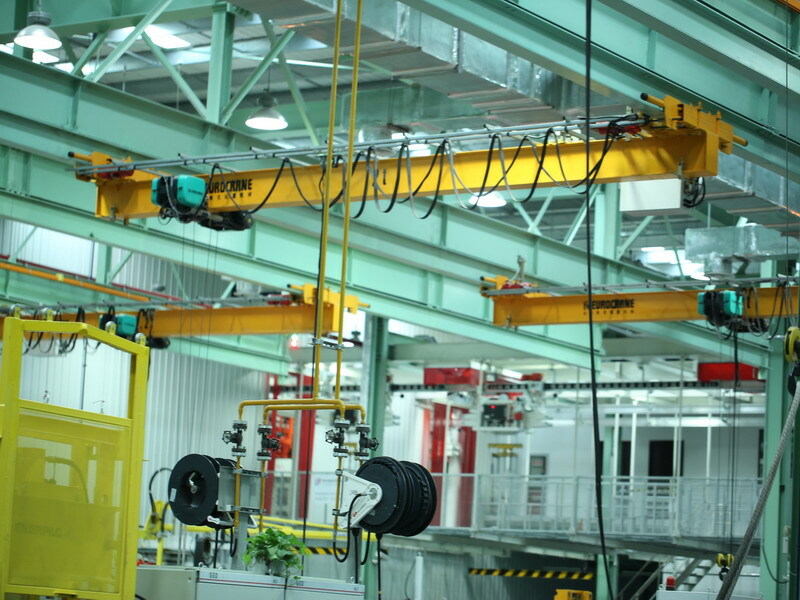 We are China Origin Factory of Single-girder Suspension Lifting Cranes. If you have any question, please feel free to contact us.